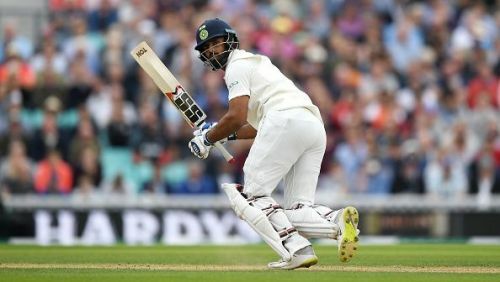 Hanuma Vihari has an exceptional record in the first-class cricket. He has played 67 first-class games and scored 5402 runs at a massive average of 58.01, including an unbeaten knock of 302. He has also scored 2579 runs from 64 List-A games at an average of 46.89, including four hundred and 16 fifties. His amazing performances were noticed by the Indian Test team selectors and he earned a maiden call-up to the Test team for the last two Tests against England. Vihari made his debut in the fifth Test against England and did not fail to impress his skipper. The all-rounder from Andhra Pradesh has scored a fifty in the first innings and picked three wickets in the second innings. He repeated the same performances and has cemented his place in the Test team. In total, Vihari has scored 125 runs at 20.83 and picked 3 wickets at 24.60 from three Test matches.